Oxygène was recorded in Jean Michel Jarre's Paris apartment using analogue synthesizers and a second-hand eight-track Scully tape deck. When completed in 1976 the album was rejected by the major record labels. Jean Michel Jarre had studied with Pierre Schaeffer, the father of musique concrète, and another of Schaeffer's students Hélène Dreyfus persuaded her husband Francis to release it on his jazz-oriented independent label which was licensed to Polydor. Without any marketing support the initial pressing of 50,000 albums sold out in weeks. It was top of the French charts in the week that Elvis Presley died - the King had to be satisfied with the next six chart slots. The truly iconic graphic for Oxygène is the work of Michel Granger. 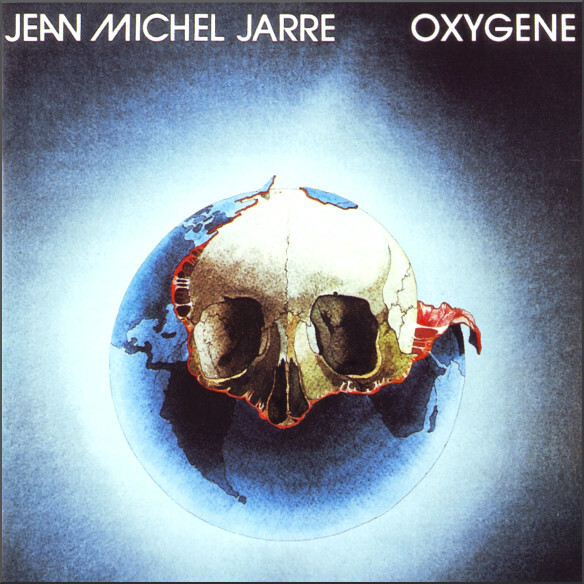 It was not commissioned for the album: Jean Michel Jarre's future wife Charlotte Rampling had acquired the artwork, which was already titled Oxygène, before the album was completed and named. Global sales of Oxygène have now exceeded 15 million units.